Have you recently started a brand/business and now ready to create a social media presence? Similar to creating a business plan before starting a business, you will need to create a plan and have a strategy before making any moves on social media. We recommend setting yourself goals and objectives that you want to achieve to help you stay on track. Create a mood board of other accounts in your industry that inspire you and have a similar look that you are trying to achieve. Try out different strategy’s and different ways of producing content, monitor your analytics and learn and adjust through trial and error. If you know your target audience, carry out research into what social media platforms will work best for you, for example, more males are on LinkedIn and YouTube whereas women dominate Facebook and Instagram. If your brand/business is aimed at a younger audience the best platforms would be Instagram, Twitter and Snapchat, or if you are targeting adults the best platforms would be LinkedIn and Facebook. When trying to create a successful social media presence for yourself or business, content is king. The best method to gain a following on social media is to regularly produce content, but don’t let quantity override quality. Focus on producing quality content that engages your audience instead of focusing on hitting quotas. Assuming your business/brand has a website, aim to write at least one blog per week and post it to your website, this will give you content to post to your social media platforms and lead traffic to your website. 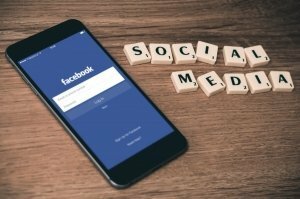 Many people make the mistake of trying to keep their social media accounts too professional by posting strictly business-related posts and it makes the accounts appear boring. Don’t be afraid to inject your personality into your brand/business accounts, if you come across, or want to create a meme, gif, video, etc. that has an element of humour but still relates to your industry, post it. The way your social media accounts look is like making a first impression, even if you are producing regular quality content, if the branding of your accounts isn’t aesthetically pleasing, many people won’t scroll down. You want to design a display photo and a cover/header photo that includes your logo or branding, tells the viewer what services you provide, but also looks interesting and draws them in. Sticking to just one form of media for your social media accounts can get very repetitive and boring, as your following grows, experiment with other forms of media to keep your accounts looking fresh and up to date. One media that is particularly popular on social media is video marketing, the most engaging videos are between 60-90 seconds. You don’t need expensive video editing software to create engaging content for your social media accounts, there are many online sources that offer free stock images and footage, and free programs such as iMovie work perfectly fine for editing short videos together that can make a big impact to your audience. We wish you the best of luck in your social media endeavours, but if you are looking for any advice or would rather outsource your social media accounts, Contact Us.